Part 1. Add only key with the option “with key“. Click on “Benz monster” on the desktop. Write key 8 and car can start. Part 2. Program new key with the option “without key” when all key lost. Alessandro silva w204 all key lost ok 100 porcent. any connections to mainframe computers or networks. “z” with the appropriate drive letter. 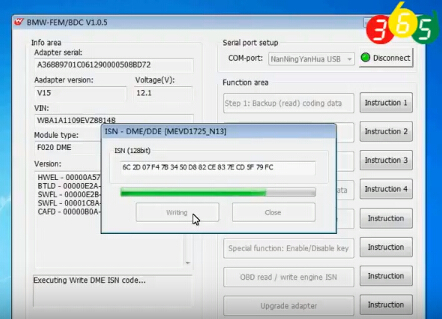 OBDSTAR tools (OBDSTAR X300 DP and OBDSTAR X300 Pro3 key master) released new software upgrade via OBD. 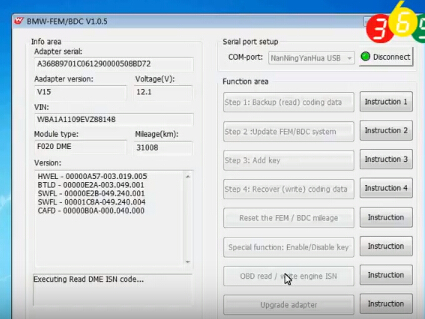 The new upgrade adds many functions, i.e key programming VW/Audi NEC 24C64, newer Ford, BMW FEM/BDC, Peugeot, Citroen, Mercedes cluster calibration etc. Here’s the detail definition of service reminder system and how to turn on/off with Honda diagnostic System HDS HIM. The Service Reminder System is an important feature of the multi-information display. Based on engine operating conditions, the NSX’s onboard computer (PCM)calculates the remaining engine oil life. The system also shows the Service Reminder Information Display along with the code(s) for other scheduled maintenance items needing service. NOTE: If the vehicle was under some situations where the power was not supplied for a long period of time such as having a 12 volt battery run out, connect the HDS to the vehicle. If not, the Maintenance Schedule may not be displayed with. The Service Reminder System will not be applied for all the EU countries. Confirm the countries where the system is applied. The system is not active in default setting. The system needs to be activated by HDS at Honda/Acura dealer. If the vehicle is taken to outside of the applicable countries, apply the maintenance schedule for non-applicable countries. NOTE: If you turn the Service Reminder System OFF after the first activation, it cannot be reactivated. When one month or more passes after disconnecting 12 volt battery terminal, set the date on Service Reminder System with HDS. 1. 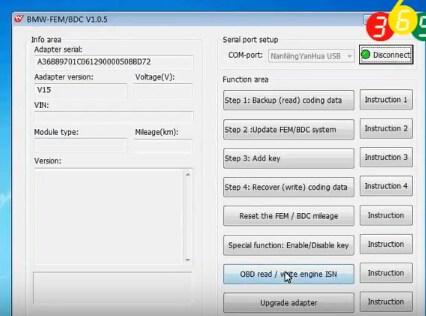 Connect the Honda HDS HIM to the data link connector (DLC). 2. Turn the vehicle to the ON mode. NOTE: Make sure the HDS communicates with the vehicle. If it does not communicate, go to the DLC circuit troubleshooting. 3. Select GAUGES from the BODY ELECTRICAL system select MENU with the HDS. 4. Select ADJUSTMENT, then select SERVICE REMINDER. 5. Select SETTING, then ON/OFF the Service Reminder System. 1. The Service Reminder Information Display is shown on the multi-information display. When the vehicle is in ON mode, and the remaining days are more than 30 days, the display shows a warning symbol (A), the maintenance item(s) (B), and remaining days (C). Turn the vehicle to the ON mode. Roll the right multi-function steering wheel controller until the Service Reminder Information Display appears. Required maintenance item code(s) are shown on Service Reminder Information Display. Complete list of maintenance item(s). Depending on the client’s driving condition, the remaining distance may not be always in agreement with the mileage in the odometer. 2. When the vehicle is in ON mode, and the remaining days are within 29 to 10 days, the maintenance service message “Service Due Soon” (A) is displayed. The message indicator (B) remains lit until the message is canceled. To cancel the message, press or roll the right multi-function steering wheel controller. The Service Reminder Information Display continues to show the warning symbol (C) and the remaining days (D) along with all the maintenance item(s) currently needing service. NOTE: The language used in the warning message can be changed into several languages. Refer to the Owner’s Manual for details. 3. When the vehicle is in ON mode, and the remaining days are within 9 to 0 day, the maintenance service message “Service Due Now” (A) is displayed. The message indicator (B) remains lit until the message is cancelled. To cancel the message, press or roll the right multi-function steering wheel controller. The Service Reminder information Display continues to show the warning symbol (C) and the remaining days (D) along with the maintenance item(s) currently needing service. 4. If the indicated maintenance is not done, the “Service Overdue” message (A) appears along with total negative days (B), for example “－10,” on the display. This means the indicated maintenance item(s) should have been done more than 10 days ago. The message indicator (C) remains lit until the indicated maintenance is done. The Service Reminder information Display continues to show the warning symbol (D) and the remaining days (E) along with the maintenance item(s) currently needing service. The vehicle must be stopped to reset the display. If all required services are done and the display is not reset, or if the maintenance item(s) is reset without doing the service, the system will not show the proper maintenance timing. This can lead to serious mechanical problems because there will be no accurate record of the vehicle when the required maintenance is needed. 1. Turn the vehicle to the ON mode. 2. While the Service Reminder Information Display is shown on the multi-information display, press and hold the right multi-function steering wheel controller for 10 seconds or more to show the reset mode. To cancel the reset mode, select “Cancel” (A) by rolling the right multi-function steering wheel controller, then press it. 3. To reset the Service Reminder Information Display, select “All Due Items” (A) by rolling the right multi-function steering wheel controller, then press it. NOTE: If you are resetting the display when the remaining days are more than 30 days, make sure any maintenance item(s) requiring service are done before resetting the display. 4. The remaining days left is reset and the “Reset completed” message appears. The screen goes back to the Service Reminder Information Display. 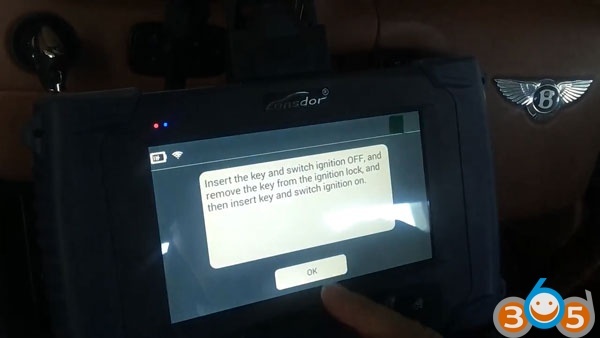 1.Connect the Honda Diagnostic System to the data link connector (DLC) located under the driver’s side dashboard. 2. Turn the vehicle to ON mode. 3. Make sure the HDS communicates with the vehicle and PCM. If it does not communicate, troubleshoot the DLC circuit. 4. Select GAUGE in the BODY ELECTRICAL with the HDS. 5. Select ADJUSTMENT in GAUGE with the HDS. 6. Select SERVICE REMINDER in the ADJUSTMENT with the HDS. 7. Select RESET in the SERVICE REMINDER with the HDS. 8. Select the individual maintenance item you wish to reset with the HDS. BMW diagnostic : Foxwell scan tool or Carly app? So what would be the difference between Foxwell NT510 multi-system scanner and Carly app in terms of diagnostics? I know coding wise there are pros and cons between them. Carly can read and clear codes, also can register batteries at $15 a pop. I don’t think it can code injectors though… at least I haven’t been able to find a way. The Foxwell can read OBD codes from any car and also do specific vehicle operations to BMW / Mini / Rolls. It’s a lot better in terms of diagnostics. It has a lot more functionality in terms of reading live data, freeze frame data, activating individual components to check for faults etc. If you had a tricky fault i’d say you have a much better chance of pinpointing it with the Foxwell tool. Both are great tools, depends upon what you’re looking for. Coding and serious diagnostics should always be done over a wire in my opinion. Actually for coding, I use INPA/NCS. If you want something you can just leave plugged in and read codes or just log if you feel like it, it would seem Carly is the way to go. For quick reference I have the dongle in my car and my phone is always in my pocket, for more detailed scanning I like the Foxwell NT510 scan tool over app based tools. Ps. Actually, the Carly adapter is Bluetooth. E-Sys looks for a connection via the ethernet port on your laptop. It won’t recognize BT at all – at least, I’ve not been able to make it do so. If your laptop doesn’t have an ethernet/RJ45 connector, you’ll need to find a device that does. Pretty sure that you can’t use a USB-to-ethernet adapter, either. Can Re-program the Speed Governor on 2011 e90 328i LCI model, vin WBAPH7C52BE852716…please note: Performance software is required to manipulate top speed limiters. Can read codes from a transmission control unit (TCU) on a 2003 e46 325xi. able to find 2 misfires because of bad plugs. I bit the bullet and ordered one also along with a Bentley manual. I’ve got 3 BMWs E39 M5(2003), X5 E53 4.6is (2003), and 540iT (1999). Because it has specific BMW codes it seams worth the investment and well beyond a peak code reader. Can can provide sensor data from the oil level system on an F82 M4, The M4 apparently can only read the oil level with the iDrive, which we plan on permanently removing for non-street use. Can register a battery to an e90 328i. Can determine which wheel speed sensor is bad on 2007 328i Coupe. NT510 can read and reset airbag service light. I have an intermittent airbag service light on a 2004 X3 that BMW service cannot track down as it clears from memory before I can get it in for service. Have the ability on the 09 BMW E82 135 to scan for ghost codes, and any other stored codes. 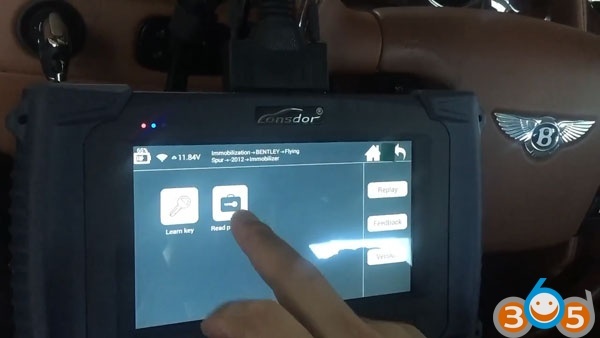 For example, example it will read codes that you did not get a scanner connected fast enough while the check engine light was on and it goes off before you know what the code actually was. capable of functioning as a universal OBDII reader for all makes in addition to it’s BMW/Mini/RR Specific functions. Can work with a 2012 mini cooper countryman s all 4. Have E36 OBD1, for OBD1 cars will require adapter ES2992111 to perform function, Available features will be dependent upon the cars abilities. Not all features are compatible with all models. Communicates via the obdII plug in the cabin on the E39 M5 2000, no extra adapters needed. can read and reset O2 sensor readiness codes but will not code them off permanently. Updates can be skipped; sequential installation of updates is not required. Can reset “Right/Left Cornering light” warnings on 2011 335d caused by after-market halo installation. To properly clear the error code you need halos with proper resistance, this will cause the car’s computer to automatically reset the warnings. All functions are supported across the E93 series on a 2011 335i N55. Ok to reset the Airbag/seatbelt light on Mini Cooper S R56. Ok to modulate the e-parking brake on a 2012 BMW F10 to enable a rear brake job with rotor replacement. Can do VANOS test, Idle Sync etc for e46 m3. Can activate the abs unit in order to bleed it on a 2008-011 m3. Can do battery registrations and coding on BMW and mini cooper. Be able to code a new battery on 08-2011 M3’s. To make NT510 is compatible with the early E36 (The car has ads modules for Abs and srs), need the 20 pin adapter ES2992111. Can reset the adaptations needed after an e46 m3 smg clutch change. Enable auto rear window defogger for GM5 module on BMW E46. E46 general module coding is possible. Can perform the dynamic drive reset for a 2002 745. Reset the transfer case oil wear indicator on BMW e83. Can code injectors and new battery on 2008 BMW 135i. Able to reset transfer case adaptations after transfer case fluid change in an F32. Can code for Xenon headlight conversions and also for activating *Sirius Retrofit Enable Code (FSC)* for Mini Cooper R56’s, but only some models not all. NT510 scanner cannot remove the top rpm limiter on a bmw z4m roadster 2007, performance tuning software is required to remove top speed limiters. Be able to display the sensor’s output if this function is registered by the car’s dme. Allow coding of the LCM and GM on BMW vehicles. Have the ability to program new ABS components to current vehicle. Allow for line code changes when programming car options, such as automatic door locking. Module recoding and programming is possible with this tool. Can register new tire pressure monitoring sensors. Whether NT510 can read TPMS codes or not (Specifically to tell which TPMS receiver is malfunctioning), it depends on the vehicle,If your car has the ability to provide this information the tool will be able to pull this data. The included software is not native to Mac computers. 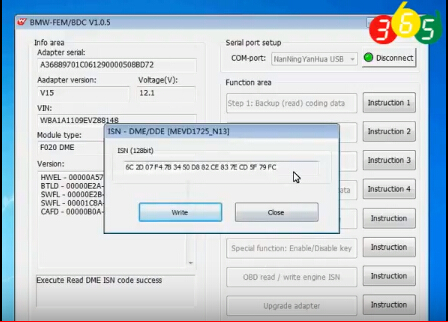 CDDI Prog BMW MSV80 key programmer can program keys to BMW CAS1, CAS2, CAS3, CAS3+, FEM, BDC. Here, i will display how to use CGDI PROG BMW for F31 FEM remote programming. 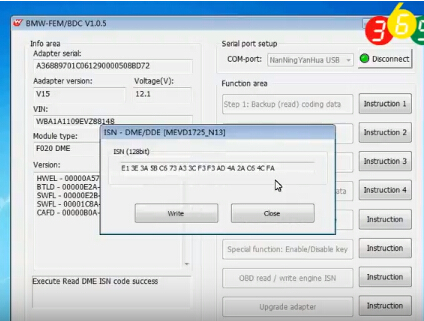 Here’s the step-by-step guide on reading pin code and program smart key on Bentley Flying Spur pre-2012 with Lonsdor K518ISE key programmer by OBD. Insert the key and switch ignition OFF, and remove the key from the ignition lock, then insert key and switch ignition on. Turn the ignition to OFF position. Insert all keys in turn and turn ignition ON for at least 5 sec. When all keys are replaced, click OK to finish key learning. Note: If the remote control can remotely control the vehicle, but cannot start car, the dashboard prompts IMMOBILIZER ADVANCED.